The UConn Library is a special place to many people but we can’t think of anyone that has dedicated more of their life to the Library and the institution of librarianship, than Norman Stevens. Our former director passed away Saturday and since that time we have been reflective on his life and legacy. Anyone who knew Norman will not be surprised to know his obituary, which is below, was well organized and full of details that sum up the many positions he held, accolades, and accomplishments. What he left out, in our humble opinion, is the true sense of loss we feel as an institution for a man that would do anything for the UConn Library, and the loss we feel personally in our hearts as we share this. Our condolences to Nora, David, Sara, Elizabeth and all his family and friends. We are a better library, and a better people, for knowing Norman. Norman Stevens, 1987. Courtesy of Archives & Special Collections. Norman D. Stevens, 86, son of the late David and Ruth Stevens, completed his life on December 15, 2018. He is survived by his wife Nora, son David (wife Sandra), daughters Sara, and Elizabeth (husband Thomas Breen); grandchildren Chelsea (husband Patrick Leishman), Nathan Breen (wife Oana), and Zoe Breen; and great-grandchild Luca Breen. Norman was born and raised in Nashua, NH and began his library career in 1949. He worked at the Library of Congress while attending American Univ. part-time. He received his B.A. in Government from the Univ. of NH in 1954 and spent a year at Victoria Univ. College in New Zealand as a Fulbright Scholar. He received an M.A. in Library Service from Rutgers Univ. in 1957 and received their first Ph.D. in Library Service in 1961. In 1989 he received the university’s Distinguished Alumni Award. Norman worked at Rutgers University Library from 1955-1957 and was Acting Director of Howard Univ. Libraries in Washington, D. C. from 1961-1963. He was a member of the administrative staff of the Rutgers Univ. Libraries from 1963-1968. He started at the Univ. of CT in 1968, where he held various administrative positions before being appointed as Director of University Libraries. He was honored as Director of University Libraries, Emeritus in 1994 upon retirement. He served as Acting Director of the newly created Thomas J. Dodd Research Center until 1995. Norman was an early advocate of computer technology in libraries for data management, shared cataloging and research applications. 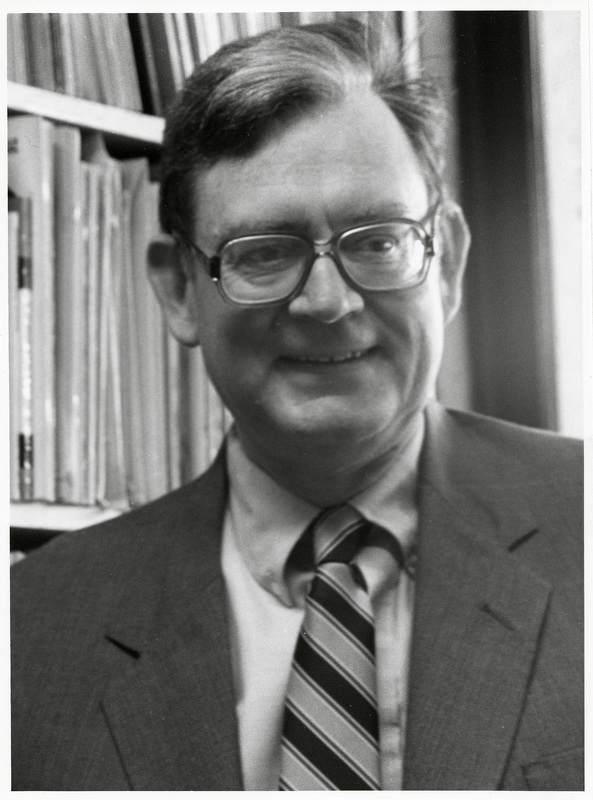 He served on the Board of the New England Library Information Network and was president of the board from the late 1960s through the early 1980s. He was a member and chair of the Board of the Connecticut Library Information Network during its formative years and oversaw the UConn Libraries participation in OCLC: Online Computer Library Center. He participated in planning and implementing UConn’s Homer Babbidge Library from 1975-1978, the largest new university research library building in the nation at that time. He oversaw the renovation of that building in the 1990s. He directed the planning and construction of the Thomas J. Dodd Research Center and the Music Library. He was involved in the early planning to improve library facilities at the university’s regional campuses. CT Children’s Book Fair, 2013. UConn Library photo. Norman, as administrator, was active in establishing and developing the Northeast Children’s Literature Collection (NCLC) in the Dodd Research Center, now among the nation’s major collections of books, original art and manuscripts from distinguished children’s authors and illustrators. 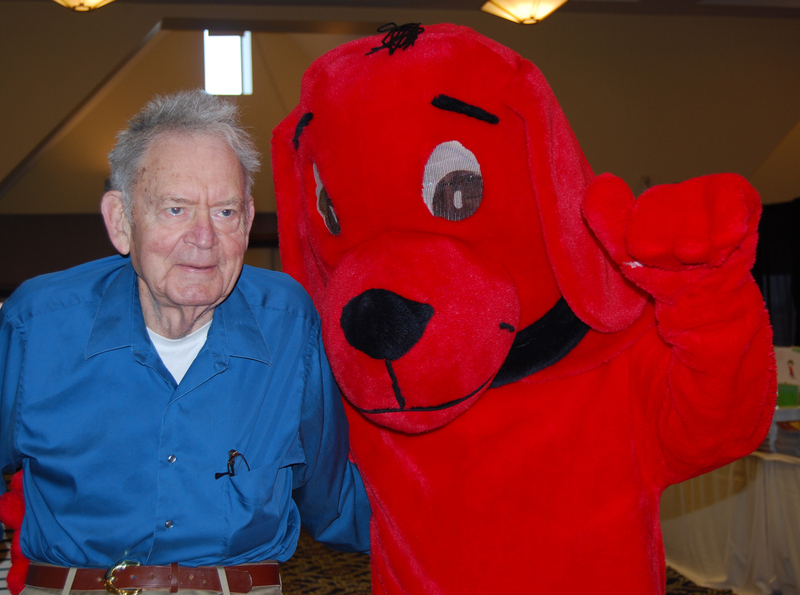 He was an active member of the American Book Collectors of Children’s Literature and served as president. As a member of the University Libraries Exhibits Committee, Norman organized dozens of exhibits in both the Babbidge Library and the Dodd Center, continuing to volunteer into his retirement. Norman was an informative and entertaining contributor to the professional library literature for 60+ years. He authored seven books, hundreds of articles and reviews, and an assortment of library ephemera. In the mid-1950s he and a colleague established the prestigious Molesworth Institute, a fictional organization devoted exclusively to the promotion of library humor. As Molesworth Director, he wrote many satirical articles on aspects of librarianship, and the Institute’s Library Humor Archives are housed with his personal papers in the University Archives at the Dodd Research Center. Dr. Stevens is now Director, in Perpetuity, of The Molesworth Institute at The University of the Great Beyond. 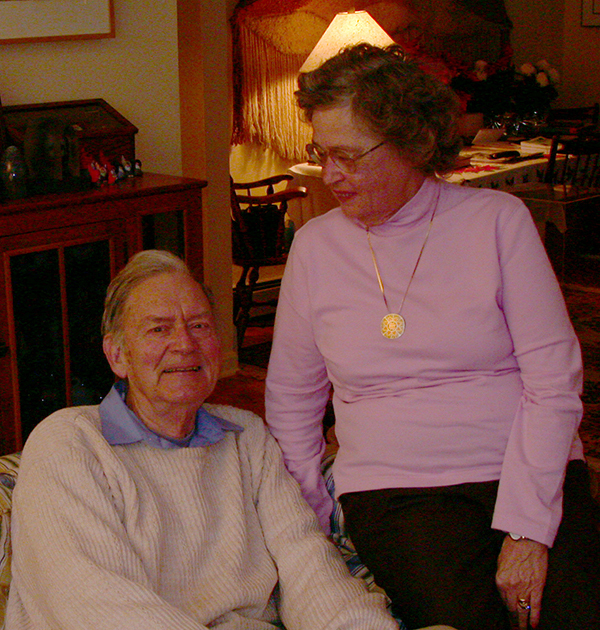 Norman and Nora Stevens, 2006. UConn Library photo. Norman assembled a collection of thousands of postcards, commemoratives, souvenirs and artifacts relating to the history of librarians, library collections and library architecture, which are housed in the Canadian Centre for Architecture in Montréal, and wrote A Guide to Collecting Librariana, the first book on the subject. His voluminous collection of children’s literature about books, reading, librarians and libraries is part of the NCLC. Norman collected crafts, inspired in part by the activities of the League of New Hampshire Craftsmen. Since the 1970s he supported awards and donated objects to the league’s permanent collection. Norman’s hand-carved 9” wooden spoon collection and related documentation will become part of the Peabody Essex Museum in Salem, MA. Initiated in 2005, the spoon collection illustrates Norman’s special ability to discover and support the work of creative people. It required him to identify and contact hundreds of talented artisans from around the globe, enlisting them in the creation of a unique and beautiful collection, forging lasting friendships along the way. Norman’s endlessly inventive mind and his kind and generous personality will be remembered by everyone who had the good fortune to know him. In lieu of flowers, please share a reminiscence on Norman’s page at www.potterfuneralhome.com. A celebration of Norman’s life will be planned for the Spring.